Here’s my most recent and fourth painting which I made for the gallery showing a few weeks back at Stolen and Escaped. If you haven’t been to that gallery yet, you need to. It’s really fun and there are some great artists being shown. In fact, I purchased my first piece from the gallery last week. 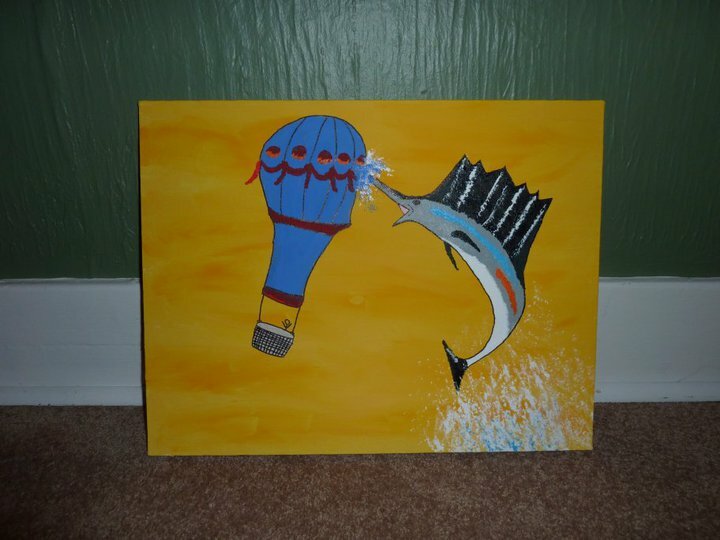 At any rate, the new painting is called “the sailfish decided that Phileas Fogg had gone far enough”. As mentioned in recent art publications in Salt Lake, it is fairly “irreverent”.